Read testimonials from others & submit your own. We want to hear from you! For Stroud, it’s important to engage with young people on initiatives like the conference and the Huntsville Change Project. I strongly feel that though my involvement with Reaction4Inclusion, and my attendance with them at the 2016 Inclusion International Conference, has influenced my thinking. After coming back to Toronto, having attended the Inclusion International Conference, I personally feel that it allowed me to feel much more grown up and to see things from a much bigger picture. My attendence at this confrence, with youth from the movement, has helped me to understand more about myself and how I can make my community and our society different. 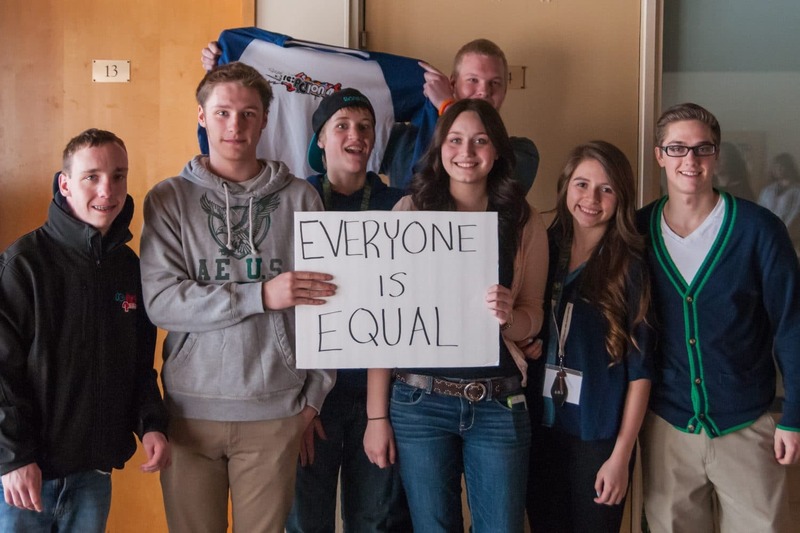 Young people involved in this movement help to advocate for people who have a disability. I’ve learned how we, young people and their allies, can come together and make this change. I believe that companies should not only consider hiring qualified people but should also look at a variety of people in the community who may have a disability but who also have potential and can be highly productive. I am looking forward to doing more work with Reaction4Inclusion as a mentor and Adult Ally. I want to make even more of an effort to advocate and to allow myself to also inspire and to be a leader within my communiy to change our society.